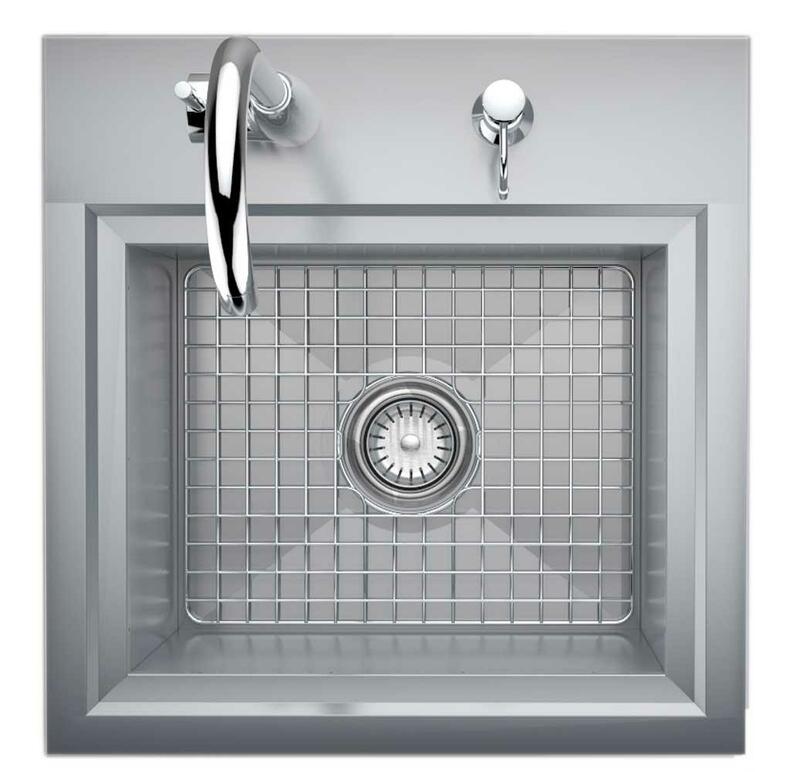 All 304 Stainless Steel Commercial Quality Sink has a 10” Inch Deep Basin, with Included Sink Grid, and large drain well with catch basket, and is sized to fit with most garbage disposals. 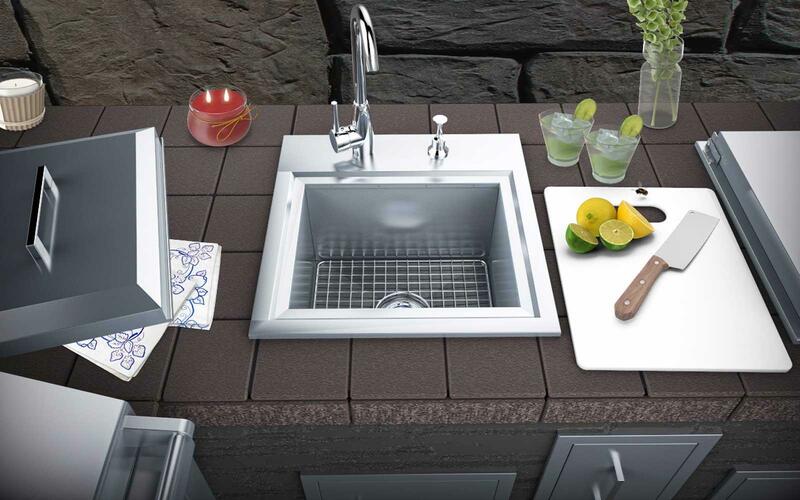 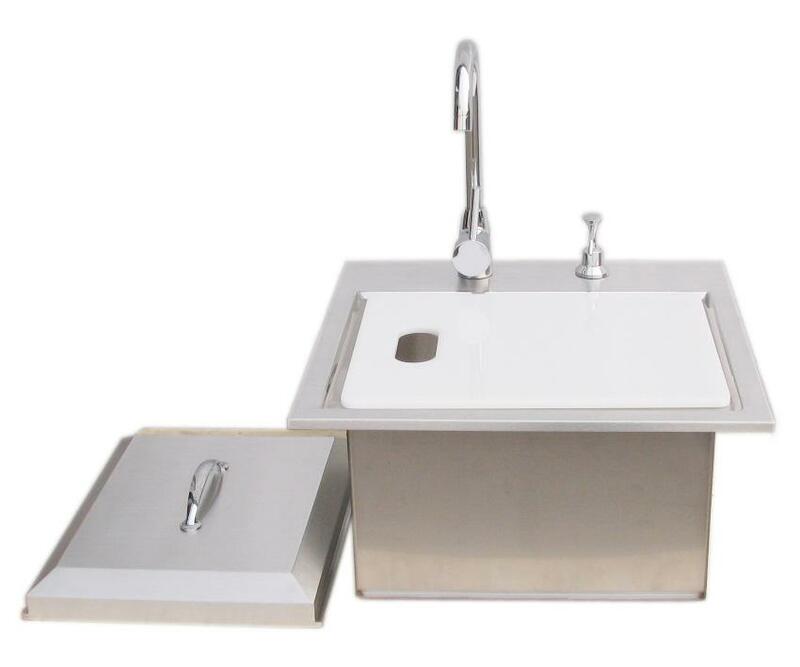 There is a conveniently placed cutting board that sits on top of sink, inside polished accent frame, with large removable cover lid, and enough spacing to allow any vegetable, or meat cuttings to be protected from the outside elements. 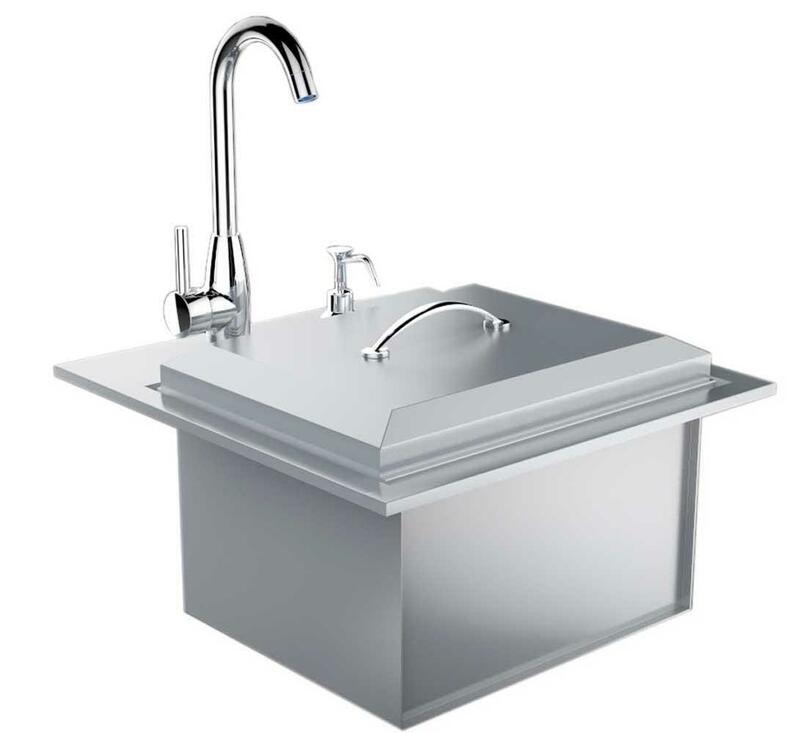 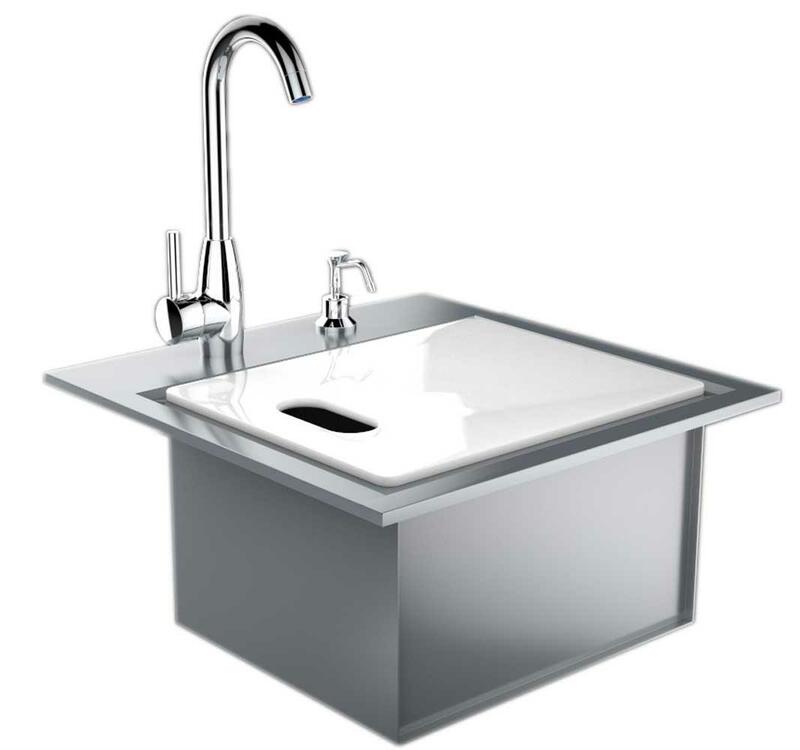 The Commercial Quality Sink comes with a large Hot/Cold Faucet and Soap Dispenser. 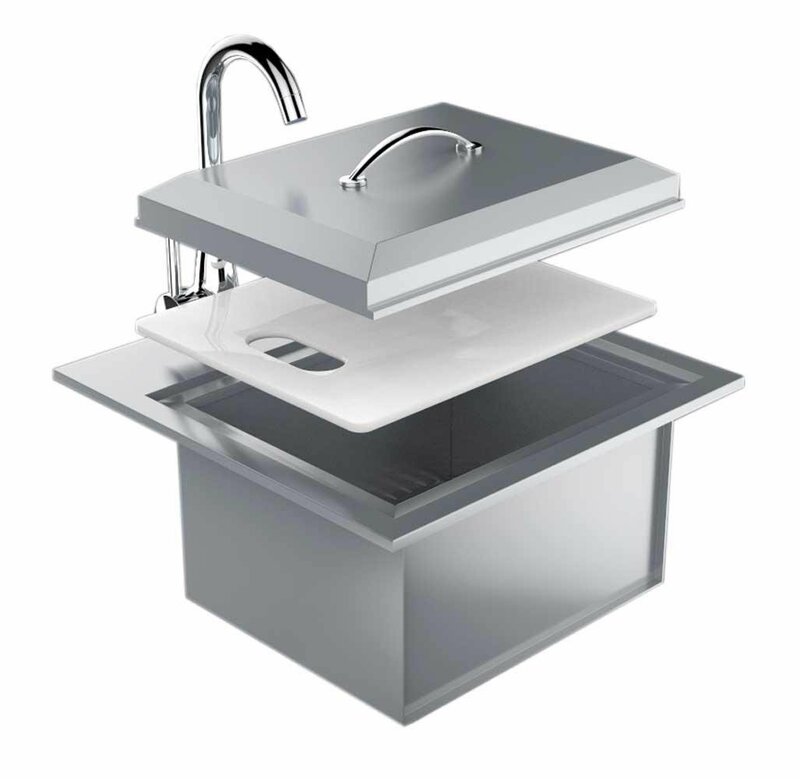 • 304 SS Commercial Stainless Steel sink with hot & cold faucet and Soap Dispenser.